Extinguishers are high quality- no dents (light dings � sometimes imperceptible are possible as these are 60 to 100 years old), no freeze damage to backside seam. These are restored to a condition which will exceed your expectations. Each is polished, lacquered, brass labels hand painted (if so desired) in various color combinations. Soda-acid models have detailed cage, lead stopple and the glass acid bottles are not reproductions � they are original. Each piece is polished to an outstandingly beautiful finish by a craftsman in the trade. 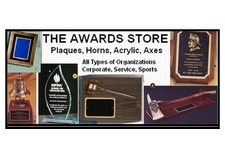 Ideal for firefighters, antique collectors, fire department awards, fire fighter museums, or anyone wanting to bring a collectable piece of our history into their home, office or fire station. These exquisitely restored collectibles will become family heirlooms. These make great Birthday, Anniversary, Holiday, and Retirement Gifts. In stock - In your hands in a matter of days. Only original parts are used in the restoration including hoses that are OEM. These are the original 2.5 gallon soda acid extinguishers as manufactured years ago. Specific brand of manufacturer can be requested, but may not be available. Call 610-584-4996 or email CH835@aol.com for more information. We stand behind our product and if you are not satisfied with your purchase please call so we can discuss a replacement.